This post is one that gets a lot of comments and I’m tickled so many people have found it useful. We’ve had our DIY litter boxes for at least 2 yrs. now. 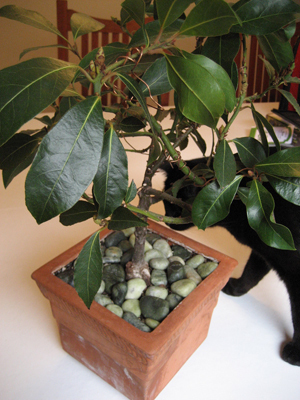 We still love them—as much as you can love a litter box. And they’re still in great shape. Yea! About a month ago, one of our two cats started peeing while standing up in their litter box. We were using a LitterMaid litter box at the time. My feelings about the LitterMaid were mixed. I appreciated not having to scoop the box all the time, but emptying the collection bin was a pain and cleaning the box was a real hassle. And while I was glad the cats always had a clean box to use, I really didn’t like that even after a couple of years, Sage would still come from another room to whack the rake when she heard it moving and often when Raven finished using the box, she’d come flying out of it lest the “monster” get her. 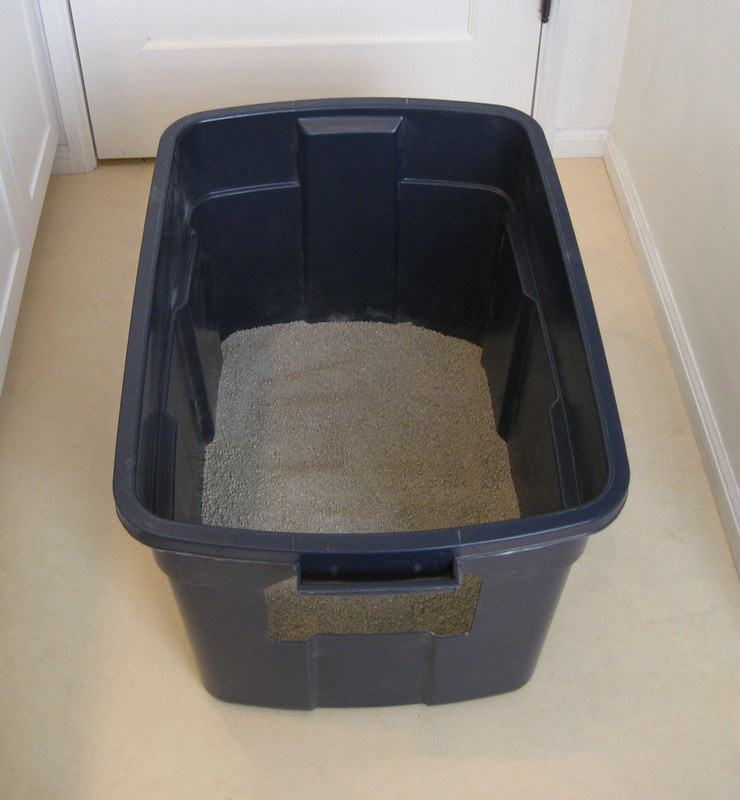 Plus, scooping the litter boxes yourself is a good way to keep track of your cat’s health. So first, I made an appointment with our vet to have the cats checked out since changes in urinary habits can be a sign of illness. And I bought a new litter box. The cats both got clean bills of health, but the stand-up peeing started happening more often. The new litter box leaked urine where the hood met the lid and made a smelly mess. I bought another litter box which had the hood sitting within the lip of the lower pan. Now the urine didn’t leak out of the box, but I had to clean the hood and the lip of the lower pan everyday. This was not working and we were out $60 on useless litter boxes. lidded, plastic container deep enough for your cat to stand in without touching the lid. 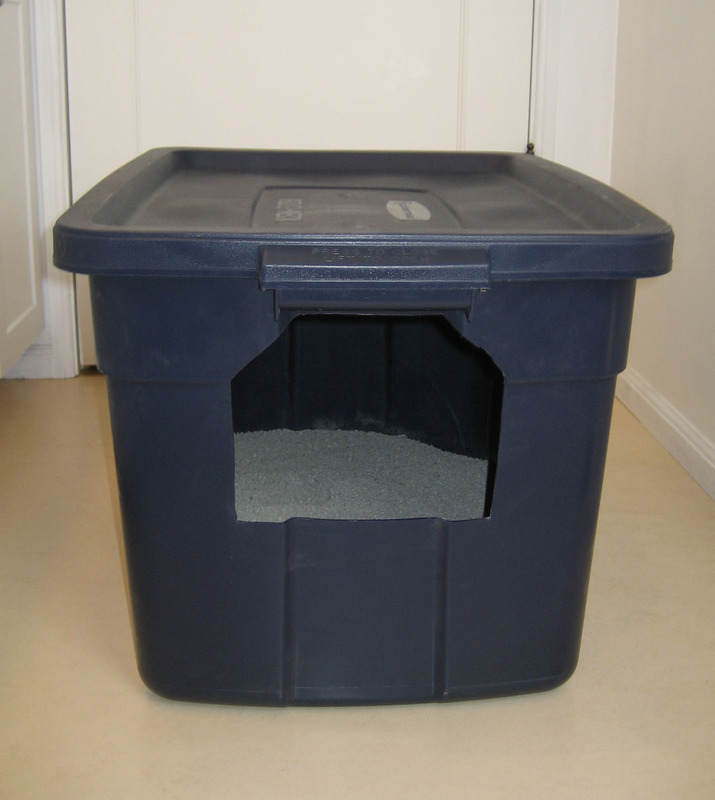 I made a larger litter box using a Rubbermaid Roughneck Storage Box, Large, 25 gal, 28.8 x 19.7 x 16.5 in, which cost between $10-$12 from Fred Meyer. 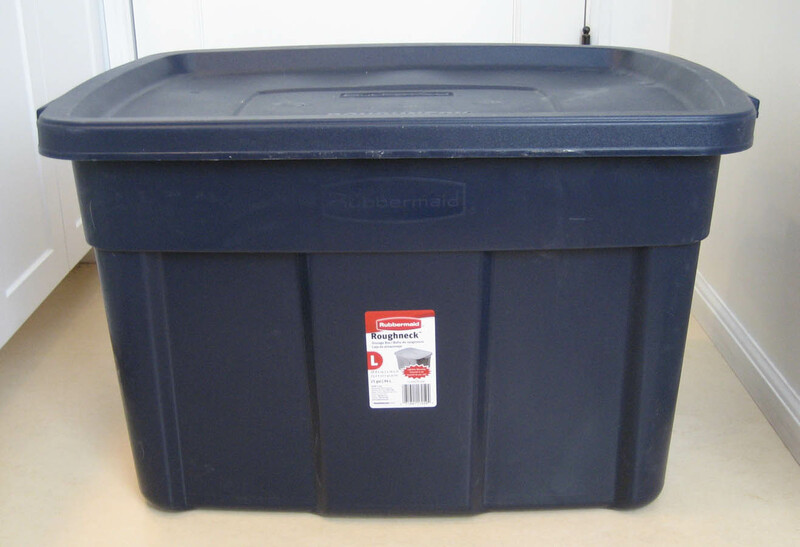 You can find these lidded storage boxes at thrift stores & stores like Target, Walmart, Lowes, etc. That’s all it takes! 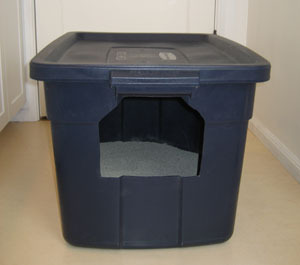 Fill the box with cat litter and replace lid for a covered litter box or leave it off if your cats prefer. 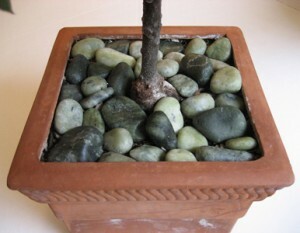 Here are some thumbnails of how mine turned out. I don’t think I’ll ever buy another litter box. I love that the lid is flat. It makes it easier to store it when I scoop the box—I just lean it against the wall. 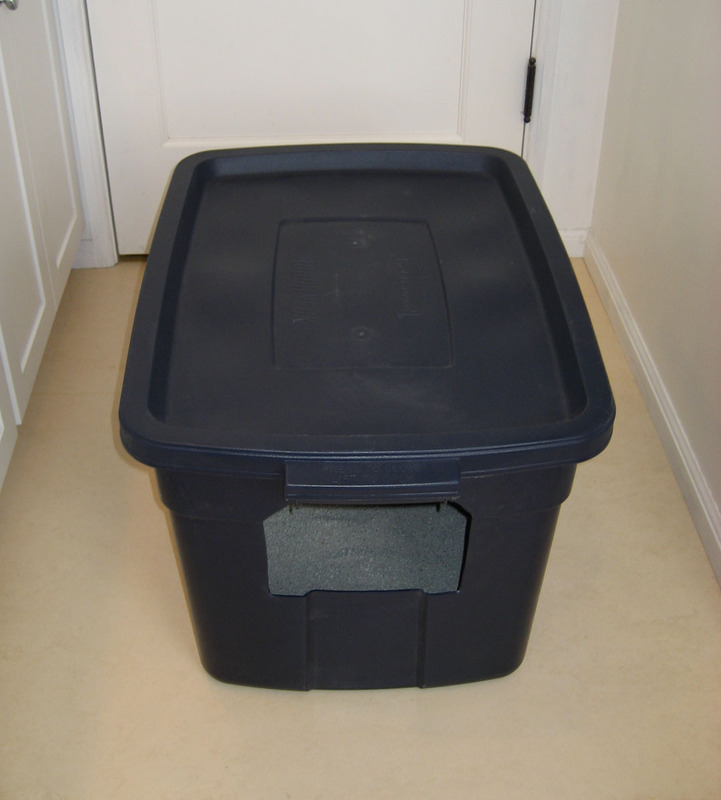 And when the lid is in place on top of the box, it provides a level area to store the scoop, bags, and cat litter. 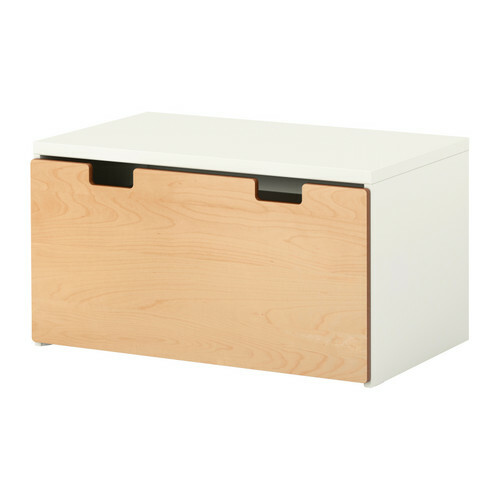 It has good handles so it’s easy to move. It’s big, so the cats are happy. The sides are high so there’s nothing to clean up if they pee standing up. You can get them in a few different colors. 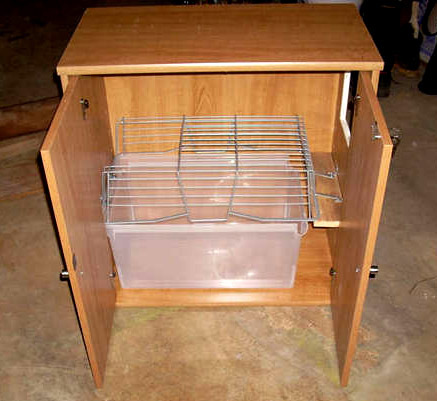 If you have the tools to cut harder plastic, you can get transparent storage bins. 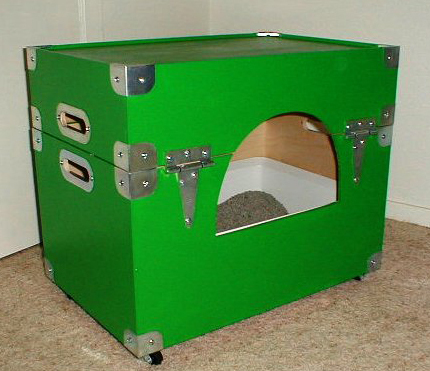 And it’s so much cheaper than buying litter boxes from a store! 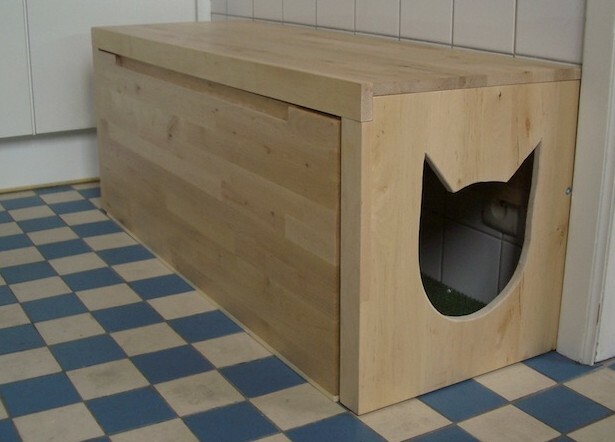 Check out these clever Ikea furniture hacks to make attractive covers to disguise you cats’ litter box. Two are made with “Snack Boxes” and the third is made using the “Hol Storage Box”, which may no longer be available. 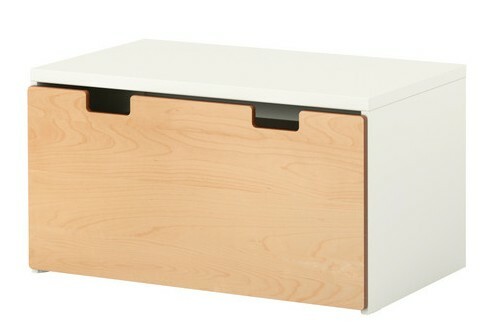 But, Ikea has lots of things that could be turned into litter box cabinets. 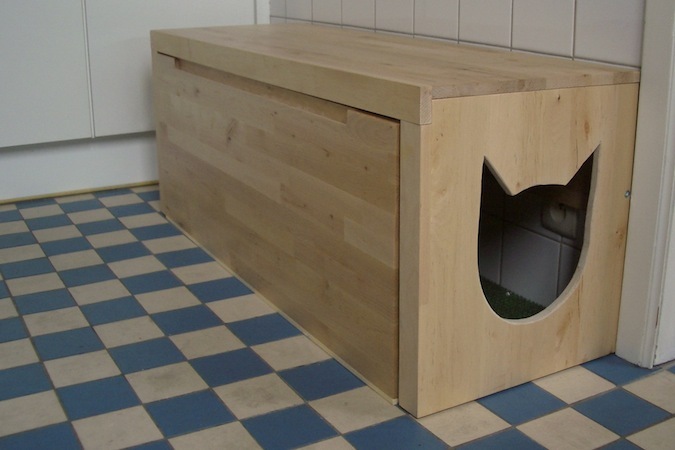 Here’s another DIY litter box cabinet.